One of the most loved vintage country genre song was Country Roads, written by Bill Danoff, Taffy Nivert, and John Denver. It rolled out as a single delivered by John Denver in 1971. The song saw a lot of success back in the day, in fact, it has remained one of those tracks, which stuck with the fans through the generations. Although now with Bethesda using the cover of the song in their upcoming, Fallout 76 game seems to have rekindled the joy. Turns out because of that the Fallout 76 Country Roads Cover song, has topped the US iTunes Chart. As you may remember, Bethesda used the cover of the song in the announcement trailer of Fallout 76. Following that just last week Bethesda rolled out this song online, with a promise to donate all the proceeds from the sales, of this track for Humanity purpose. In just 24 hours, Fallout 76 Country Roads Cover song was able to climb up to the top rank, in the US iTunes charts. Having said that the track was not too consistent in maintaining the place, but it did hold the spot for a few days. Which does tell us that, there is definitely a lot of anticipation for the game, provided the fact that this certainly is a unique and rare achievement for a game song. Most of the fans would agree that bringing out Fallout 76, is a risk that the company has taken but since there is a lot of anticipation, the company is quite positive that this game will not turn out to be disappointing. 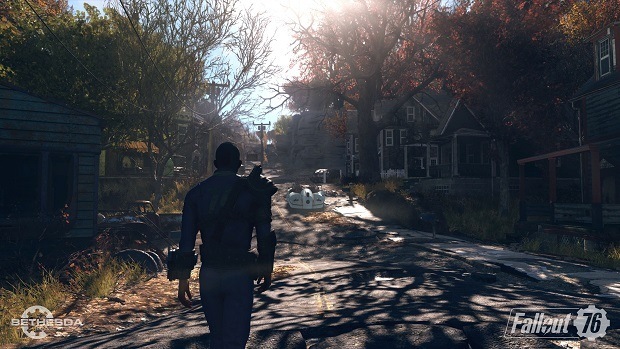 Bethesda has shared that it aims for longitivity and public interest, in this game. On the other hand, they have also given some kind of a disclaimer that it won’t be perfect at launch, but rather will take time to polish. Let’s hope that it is reasonable enough at launch because there certainly are a lot of fans, and it would be a disappointment if they are not able to make their fans happy. That said, do you like the Fallout 76 Country Roads Cover? Have you listened to the original track as well? Let us know your thoughts, in the comments below.